Fundraising Letters: Is this about me or about you? Fundraising Secret #21: Is this about me or about you? I just got an email from a person I didn't know telling me about a firm I didn't ask about. I'm not sure how we connected. This feels a bit unsolicited to me. I don't mean this to be rude. I'm just intrigued by such a one-sided marketing attempt. As far as I know, I'm not in the market for these type of services. I'm not sure how you found me but I don't run capital campaigns and I'm happy with my logo. Sorry for the long response. I hope the feedback is helpful. I took longer on the response than I'd anticipated, but I doubt he meant any harm. Then I started thinking, how many of our fundraising letters look his email? Me. Me. Me. Our vision. Our stuff. We're cool. Me. Me. Me. Us. Us. Us. If we're simply talking about ourselves and our organization, we'll risk sounding like the teacher on the Charlie Brown cartoons, "Wah wah wah wah. Wah wah. Wah wah." As you began drafting your fall fundraising appeals this week, or have conversations with donors, try seeing if you can focus more on them than on yourself. What if you could reverse the percentage to 17% about your organization and 83% about them! If you need more help changing your focus, be sure to check out the past episodes of the Ask Without Fear radio show. It's uncanny how each of my guests also talk about talking to our donor's values and beliefs. With that in mind, I offer you the Donor Power Free Fundraising Letter Template. You are free to use this; it has absolutely no copyright whatsoever. You. You. You. You. You. You. You. You. You. You. You. You. You. You. You. You. You. You. You. You. You. You. You. You. Yes, you. You. You. You. You. You. You. You. You. You. You. You. You. You. You. You. You. You. You. You. You. You. You. You. You. You. You. You. You. You. You. You. You. You. You. You. Instructions: Liberally sprinkle in nouns and verbs. Use adjectives and adverbs sparingly. 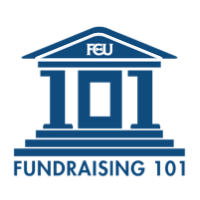 Include specific examples of what the donor's gift will accomplish. Include true-life stories that demonstrate the need for the donor's involvement. Be sure to clearly and articulately ask for a gift more than once. Use this template, and you'll see success in your fundraising.